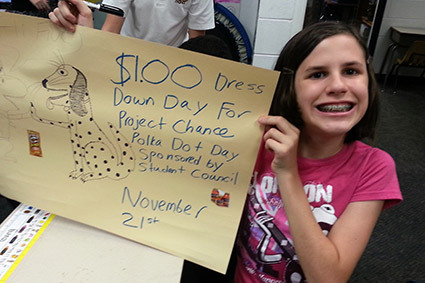 Fundraising is a necessary component of a not-for-profit school. And at Morning Star School there are many ways to get involved and make a difference. Each year our devoted parents, grandparents, supporters and community of friends come together to help us raise needed funds that help us supplement the budget, perform maintenance to our buildings, provide enhancements to our classrooms as well as purchase up-to-date educational tools and enrichment programs. These contributions are immeasurable in how they support the mission of our school and are a worthy model of stewardship for us all. Listed below are many ways you can help us raise money. Our Annual “Shoot For The Stars” Golf Tournament is held each year at the beautiful and challenging San Jose Country Club. Our tournament is a huge success and always lots of fun! A big thank you goes out to the many players, sponsors, donors, committee members and parent volunteers that come out to support us every year! To read more about the tournament and see photos of the day’s activities click HERE. And be sure to SAVE THE DATE for this year’s tournament! 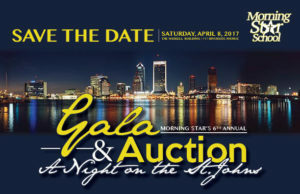 Our annual Gala & Auction “A Night on The St. Johns” is held at the beautiful Haskell Building in Riverside. 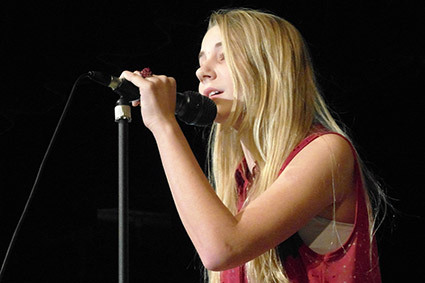 Last year’s event was a huge success for our school! Each year, with the help of the Northeast Florida community, Morning Star School organizes this festive party with dining, dancing and a fun silent auction – all to raise funds and increase awareness of this amazing school. It’s an evening not to be missed! Attendees have the opportunity to purchase a reserved table and select from many sponsorship packages. Don’t miss it – It’s truly a fun evening out for our parents, extended family, faculty and community members to show their support of our school. To read more about the tournament and see photos of the day’s activities click HERE. And be sure to SAVE THE DATE for this year’s event! Everybody loves delicious cookies, everybody loves our kids and everybody wants to help our school thrive. Every year we provide a sweet opportunity that helps us raise money. Life is better with cookies. But not only cookie dough, we also sell gourmet treats, snacks, gifts, magazines and our new custom Morning Star Spirit Tumbler! 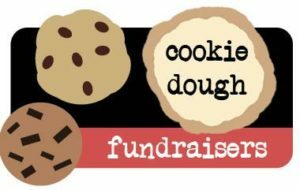 Your support is appreciated!And the more cookie dough you buy, the better life is at Morning Star School! 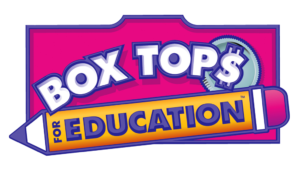 Box Tops for Education® has been helping schools raise money since 1996. Box Tops coupons are located on hundreds of the products you buy every day! Each Box Tops coupon is worth 10¢ and they add up fast! We can use our Box Tops cash to buy whatever we need most, from books to field trips to playground equipment. Just clip the Box Top, make sure it’s not expired. place them in a Ziploc bag and turn them into the office. Look through your pantry tonight and be sure to clip those precious dimes in disguise. And now you can earn even more cash to help our school through the Box Tops for Education® Bonus App. Turn your everyday receipts into cash! It’s free and as easy as 1-2-3. Click HERE to see how it works and download the App! Our “ShopWithScrip” allows you to purchase gift cards from over 300 retailers including grocery stores, gas stations, restaurants, hotels, home improvement stores and many more. Gift cards make great holiday gifts and can be used to make everyday purchases. 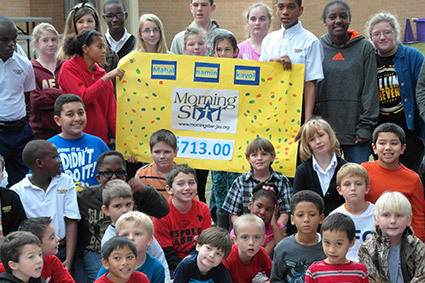 Morning Star School earns money for each gift card you purchase! So, if you plan ahead and use gift cards to pay for your normal weekly purchases, you can easily help raise money for our school! It’s time to put your shopping dollars to work! Get friends and family involved! Forward them this email so they can start shopping too! Orders are placed Mondays at 9:00 AM and gift cards are sent home on Fridays. EXISTING SCRIP FAMILIES can just log in HERE and enter our school enrollment code C5A2941A8919. Once you’re logged in you can begin shopping! NEW SCRIP FAMILIES will need to create a ShopWithScrip® account HERE and enter our enrollment code: C5A2941A8919. Fill in the required information. Once you click “Register” you will be asked to select two challenge questions and provide answers, which will be required if you forget your password. Happy shopping! Do you shop at Amazon? AmazonSmile is the same Amazon you know. Same products, same prices, same service. But, when you shop at AmazonSmile and select Morning Star School of Jacksonville as your charity of choice, Amazon donates 0.5% of all eligible purchases to Morning Star School! The process is simple, costs you nothing and uses your existing Amazon credentials.